In today’s highly competitive trade show environment, your trade show booth needs to stand out from the crowd to make an impact on your visitors. At the same time, you need to stay within budget in order to have a cost-effective trade show marketing experience. ExpoMarketing can help you achieve both goals with a custom-designed rental booth that costs far less than traditional booth ownership. Since 1991, ExpoMarketing has been providing exhibitors throughout the U.S. with a faster and more cost-effective alternative to designing and building their own booths. We offer many award-winning designs to choose from, and we carry one of the largest booth rental inventories in the U.S. 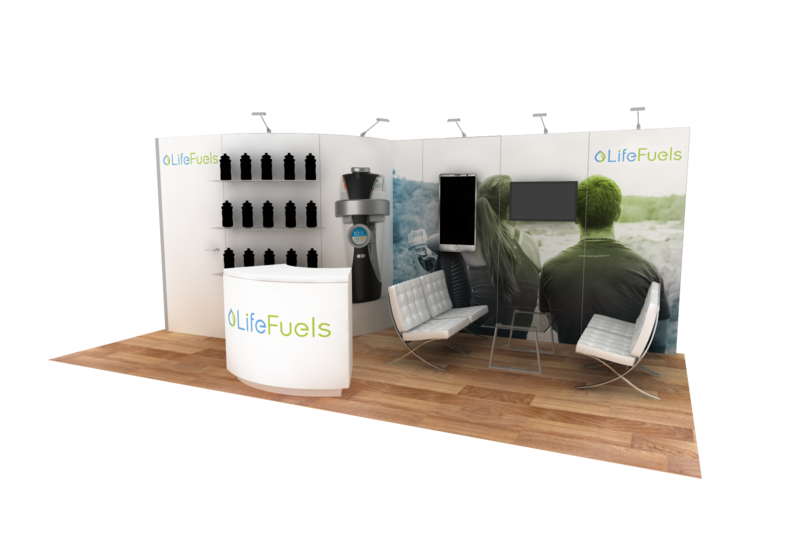 Most important, our Portland trade show booths provide a professional, custom-built look without the high cost of ownership. When you own an exhibit booth, you’re stuck with the same design for every trade show. A Portland trade show rental booth from ExpoMarketing offers the flexibility to change the size and design without making costly changes to your exhibit. We can design your booth to lower your labor, shipping and drayage costs. And we can help you avoid additional fees for maintenance, refurbishment, pull and prep, and storage – making it easier on your staff and your budget. At ExpoMarketing, we employ a highly collaborative approach that starts with taking the time to understand your exhibit needs and objectives. Then we design a booth that translates your brand and style into a bold, attention-grabbing display. From concept to completion, we provide a proven process for building an eye-catching exhibit that captures your prospects’ attention – and their business. 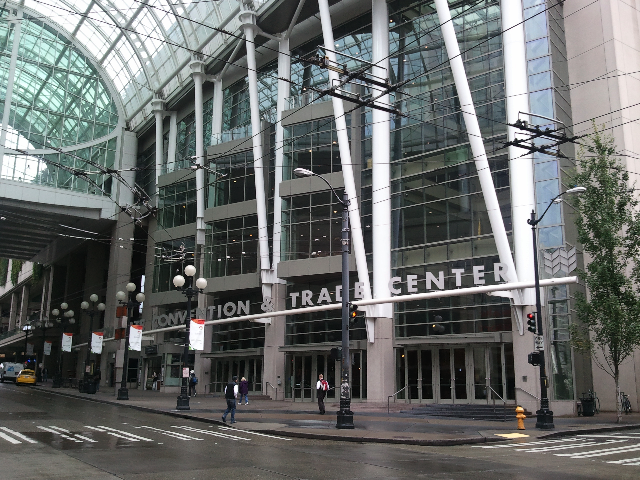 The Oregon Convention Center (OCC) is the largest venue of its kind in the Pacific Northwest, and is one of only two LEED (Leadership in Energy and Environmental Design) platinum convention centers in the U.S. Located in Portland’s downtown Lloyd District, OCC sits in close proximity to many local attractions, including Oregon’s largest shopping mall, the Veterans Memorial Coliseum, the Moda Center, and a wide variety of restaurant, shops and fine hotels. OCC offers 255,000 square feet of contiguous exhibit space, 50 meeting rooms, and two grand ballrooms. The full-service catering includes a wide range of concession options, and there’s plenty of parking, with 800-spaces in the facility’s underground garage. Amenities include two large ballrooms, drive-in access from three street-level entries, and $2 million in artwork throughout the lobbies and public spaces. Your complete exhibit rental solution, ExpoMarketing rents everything you need to put on a polished, professional exhibit. From furniture and flooring to lighting, A/V equipment and more, we bring together all the diverse booth elements to deliver the highest quality branding and messaging for your display.